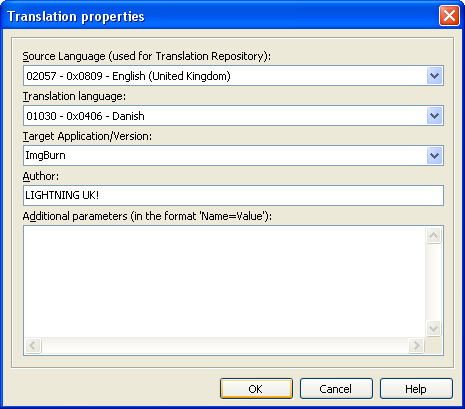 The localisation of ImgBurn (as of v2.4.0.0) is handled by a component called 'DKLang Localization Package'. 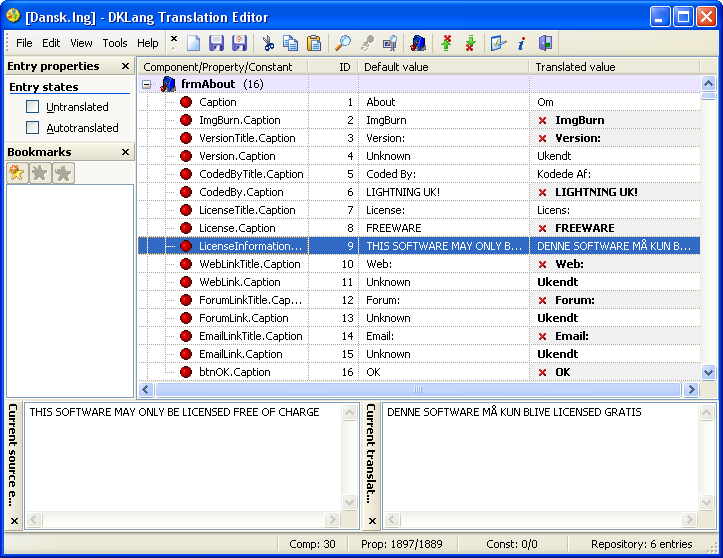 If you're serious about wanting to translate ImgBurn, the first thing you'll need is the source/base language file. You can get that by visiting the 'Download' page on the main website. Got the *.dklang file from me? Ok, now you're ready to start! You should then be presented with the screen shown below. Point the 'Language Source File' towards the ImgBurn.dklang file and then click OK.
Next you'll see the 'Translation properties' window. Change the 'Source Language' to '02057 - 0x0809 - English (United Kingdom)'. Change the 'Translation language' to whatever is appropriate for your translation. 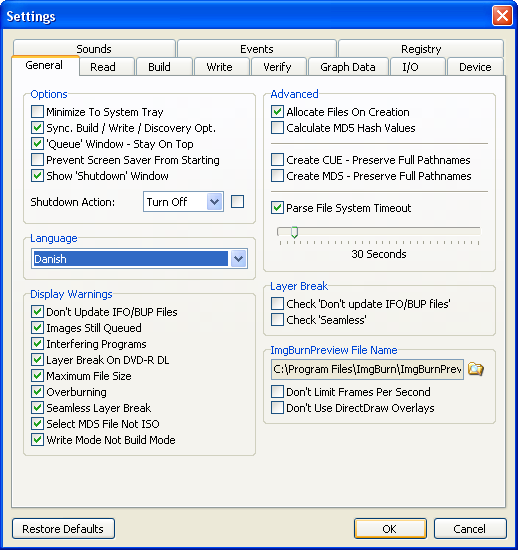 Change 'Target Application/Version' to 'ImgBurn'. Change 'Author' to whatever you want to be known as! Next, step though all the entries and translate them. You can use the Repository and 'Autotranslate' feature to help speed things along! When you're all done (or just want to test it), 'Save' the file (giving it an appropriate name) - ensuring the extension is set to '.lng' and then run ImgBurn. The *.lng files must be put into the 'Languages' folder where ImgBurn.exe lives. i.e. if ImgBurn.exe is in 'C:\Program Files\ImgBurn', you need to put the *.lng files in 'C:\Program Files\ImgBurn\Languages'. 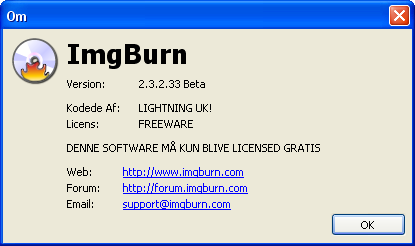 ImgBurn will then pickup and read from these lng files next time it starts up. You can test out your new language file by changing the 'Language' dropdown box in the Settings window and then clicking OK. When you're totally happy with your translation, email me it and I'll load it up on the website (giving you credit of course). If several people want to translate into the same language, I'll try and organise it so you each do a few forms (or just 1 if it's a big one! ).